[PDF] Mader's Understanding Human Anatomy & Physiology (Mader's Understanding Human Anatomy and Physiology) | Free eBooks Download - EBOOKEE! Description: Renowned for her effective learning systems, respected author Sylvia Mader has helped thousands of entry-level students understand and enjoy the principles of human anatomy and physiology. Beginning with the sixth edition, Susannah Longenbaker has been building on Dr. Mader's format and engaging writing style while adding her own personal touch to this successful title. The writing is clear, direct and user-friendly, and enriched with new clinical information, terminology and classroom-tested features such as "Focus on Forensics" readings and in-text "Content Check-Up" questions. 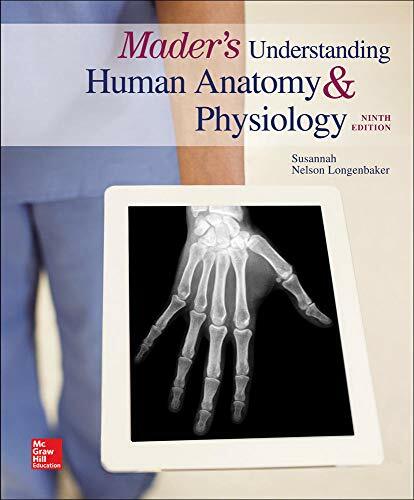 Drawing on over twenty years of teaching experience, Sue Longenbaker writes for the next generation of students that will learn anatomy and physiology from this classic textbook. No comments for "[PDF] Mader's Understanding Human Anatomy & Physiology (Mader's Understanding Human Anatomy and Physiology)".